If you want year-round color you must add evergreens to your landscaping to have visual interest in your yard 365 days a year. Our landscape architect uses the concept of continuous sequence of bloom to keep year-round color in the landscape. Plants flower at different times during the growing season and for different periods of time. The landscape architect uses this knowledge to keep continuous color. 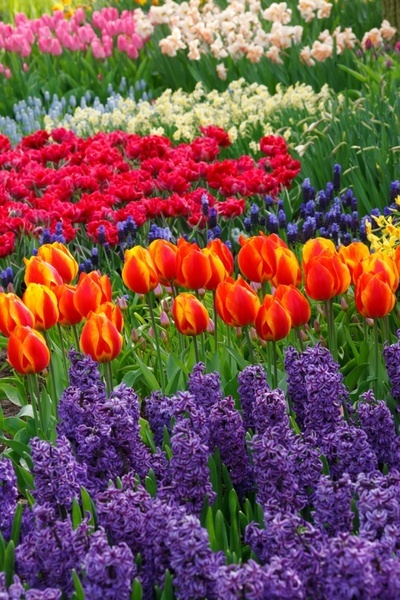 The earliest plants to flower are bulb plants. Inter planting perennials with bulb plants helps the appearance of the flower bed when the bulb plant flowers fad and drop off. Peonies are traditionally valued in flower beds. A tree peony is a head turner with their large colorful blooms. The torch lily is an excellent choice to transition into summer, they are also known as Hot Poker Plants. Many think that July is the month of the Lily. Coneflowers bloom June through October. Other long blooming plants are lavender, Shasta Daisey and Black-eyed Susan’s. Winter Heath can continue to bloom right through the winter months of December, January and February. We have only mentioned a few of the plants that can give you a sequence of bloom for year-round color. Just mention you are interested in sequence of bloom to our landscape architect and he will amaze you with his knowledge of the colorful plant options that are way to numerous to mention in this brief article.